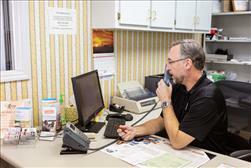 Dale Moates is personally responsible for the day to day operations of the sales and service department. I am from Pinkard Alabama. I enjoy fishing and spending time with my family. I have enjoy helping people find the vehicles they enjoy. 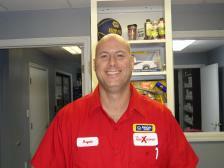 Bryan is our service writer and brings years of customer service experience to Moates Auto Xchange. He will be happy to assist you in scheduling service appointments, applying for the NAPA EasyPay card, and coordinating scheduled maintenance for your vehicle. Bryan has already proven to be an asset to the Service Department with his easy smile and willingness to help. Our service manager, Wayne, has over 35 Years experience. Wayne and his team can take care of ALL your service needs. Our service department is a full-service ASE shop and we are here to serve all your automotive needs. We offer an "oil change club," the NAPA EasyPay card, and are a AAA-approved repair facility and our knowledgeable staff is here to help any way we can. From oil changes to transmission and engine work, Moates Auto Xchange is the one-stop place for all your automotive needs. Stop by and have a cup of coffee and a bit of conversation. We'd love to see you.